Nobel laureate John Nash — who died on 23 May — stands in the same line as Smith, Ricardo, Walras and Keynes in having shaped economic thinking. 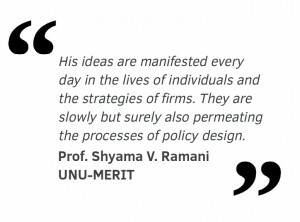 But he was even more, argues Prof. Shyama V. Ramani in this tribute to the genius of game theory. Unlike other giants of economic philosophy, Nash has profoundly influenced the evolution of scholarship in artificial intelligence, evolutionary biology, mathematics, psychology, management science and all the social sciences. His ideas are manifested every day in the lives of individuals and the strategies of firms. They are slowly but surely also permeating the processes of policy design. His theories are at the base of the intellectual lives of thousands of aspiring economists all over the world and sometimes, though separated by time and space, his ideas have affected real lives. Mine was just one such example. Delhi is home to two of the most prestigious graduate schools in economics in India. One is very mainstream and the other was, at least during the 1980s, very Marxist. I got into the mainstream one but had a very bad bus accident, which forced me to go to the nearby Marxist institution. The teachers were fabulous, we learnt to scorn neoclassical economics, mistrust capitalism in any and all forms, criticise government policy from every angle without offering adequate alternatives, all while clothing our arguments in elegant mathematics, for we learnt our Walras, Marx, Keynes, Sraffa, Pasinetti and Malinvaud – as mathematical systems of the working of the economic world. But the reality was harsh and far removed from the teachings of social justice meted out to us in the form of these economic theories. There was a near-perfect correlation between being the head of the student wing of the Communist Party and topping economics in our university. One’s social networks and the privileges that came along with it, were determined by which of the Communist icons one very vocally pledged allegiance to: Marx, Lenin, Stalin, Trotsky, Che, etc. And yet the theory of clubs was never discussed. Such was the setting in most Indian economics departments, with the addition of local politics. It was difficult to breathe and like being in a congregation of people of extremely strong faith, where the possibility of being a non-believer or an agnostic or a multiple deity believer was simply denied. Then one of my best friends, who had gone to the mainstream school, told me in the second year of our Master’s programme, that one of the great teachers of the day, Professor Kaushik Basu, was going to teach something called ‘Game Theory’ and invited me to come, since life was clearly about games and I would learn how to be a better player in my faith-based setting. From the first lecture onwards, I was hooked, thanks to Nash and also to the eloquence and elegance of Professor Basu’s discourse. And I travelled across the city, for every class of his, spending about four hours in a series of terribly crowded buses, being very careful, of course to not have another accident! Why was Nash so earthshaking? It is because he offered a fresh path of pragmatism to understand the workings of the real world, a Pascalian rebuff to faith-based or ideology-steeped economic philosophies. Let me explain further. A game is any context of interaction, say between people, where no-one fully controls the outcome and where what everyone does matters. This immediately takes the focus of economic analysis away from a market or region to an eclectic systemic setting of the game context. The role of games in daily lives has been recognised since time immemorial, but for a very long time, its analysis was restricted to ‘races’ i.e. where there is a winner (or winners) and a loser (or losers). Cournot and Bertrand took this argument to explore competition between firms on the basis of ‘quantity sold’ or the ‘price charged’ respectively. Then, Von Neuman and Morgenstern showed that if the system was smooth, say with plenty of options, then in two-player games, each player has a winning strategy. However, the application of this principle was limited, for we all know that races are only one kind of game. In life, we are bargaining, collaborating, cooperating, compromising, etc. in non-race situations which could include many players, and where everyone could win a little or a lose a little, without the loss of one being the gain of the other. How was one to predict the outcomes of these games? This is what Nash did. Nash demonstrated that the most likely outcomes of such situations would be the ‘sticky strategy’ profiles. In other words, the game would stop being played if no-one could do better given what the others were doing. If this were to be the case for all players, then there’s nothing more to be done – is there – except to distribute the corresponding payoffs according to the rules of the game. Philosophers have understood this for centuries, but no-one could prove under what circumstances such a set of sticky strategies (where no-one could do better for himself or herself given what the others were doing) really existed! Besides, anyone can formulate a simple game where there is no end – where rational people would keep on playing – rather like Beckett’s play Waiting for Godot. Nash was a multidisciplinary researcher. The math of multi-dimensions, or topology, had developed somewhat by then and a Dutch mathematician called Brouwer had come up with a principle called fixed point theorems, which loosely speaking can be understood as the ‘sticky points’ of a process, where a process stays and doesn’t move. Nash did two things. First, he understood that in games, if pure choices aren’t available for a player, automatically, intrinsically he or she would take risks – and be unpredictable – even to themselves. And smart ones would play the best unpredictability card or apply the best probabilistic strategy. Second, he applied the fixed point theorem of Brouwer to game play, to show that in most reasonable contexts (say where the parameters are finite or at least countable) there would be a sticky outcome either in terms of pure strategies (or choice of single strategy) or mixed strategies (i.e. risky probabilistic play). Thus, he proved the existence of what has come to be known as the ‘Nash equilibrium’ that in reasonable settings, there are sticky points of play where the game would end. In fact, there could be many. And some could pose social dilemmas, calling for state intervention. 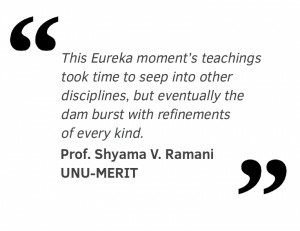 This Eureka moment’s teachings took time to seep into other disciplines, but eventually the dam burst with refinements of every kind. But, that is another story or rather many other stories. However, until around 20 years ago, game theory was still shrouded in mathematics and the instrument of the favoured few with skill sets in this discipline. Thankfully, as part of the global processes of democratisation and promotion of accessibility, game theory has also undergone many quiet revolutions and is now accessible to anyone who has the patience to understand and apply logic. 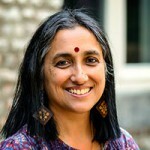 To close the loop, it was a very important catalyst to tone down ideology-based economic teaching, in developing countries especially, because Nash’s game philosophy is context oriented, and it starts with the recognition that contexts can be extremely varied and complex, and therefore, what is important to search for are context-based solutions. Solutions based on a single ideology can by no means offer a panacea for all challenges. And that’s why Nash’s approach is so important for researchers studying the processes of inclusive development in heterogeneous developing country contexts, which includes us – of course!